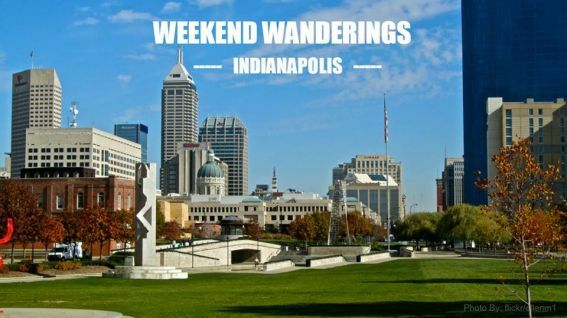 Located just three hours from Chicago, Indianapolis makes for a fun and easy family getaway. 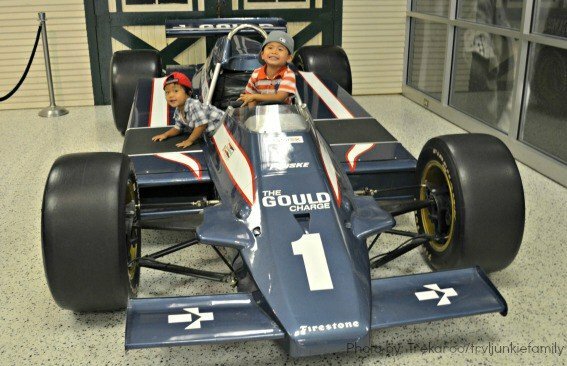 While other visitors may associate Indy with sports and the Indy 500, families will be pleasantly surprised to find a plethora of activities from exploring the world’s largest children’s museum to visiting new resident apes at the zoo, and, of course, racing fun. A trip to the zoo is always fun, and the Indianapolis Zoo is even better this year with the addition of the International Orangutan Center, home to eight orangutans. 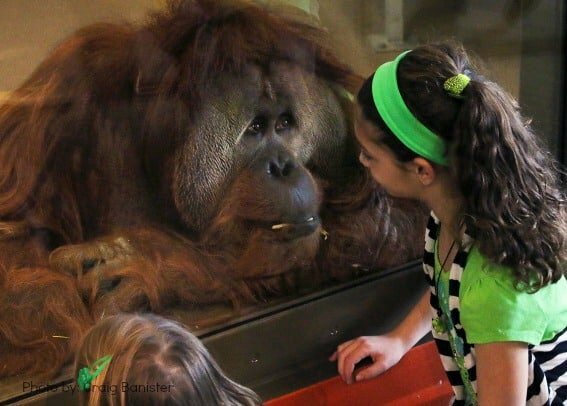 With indoor and outdoor viewing areas, interpretive displays, demonstrations, and education opportunities, the center’s main focus is to have the orangutans thrive and visitors learn about these endangered species. Afterwards, explore the rest of the zoo and see giraffes, elephants, and rhinos. Don’ t miss the free dolphin show, the underwater viewing dome, or the shark touch pool. If there’s time, relax at the White River Gardens located next door (admission included with zoo ticket). Time to get on the water and explore the 1.5 mile canal by pedal boat or gondola! If you’re interested in exploring more of this 250-acre urban park, rent a bike or even a Segway. End the day by cheering on Indy’s minor league baseball team, the Indianapolis Indians at Victory Field, named one of the best minor league ballparks in America. Channel your inner rock star at Rhythm! 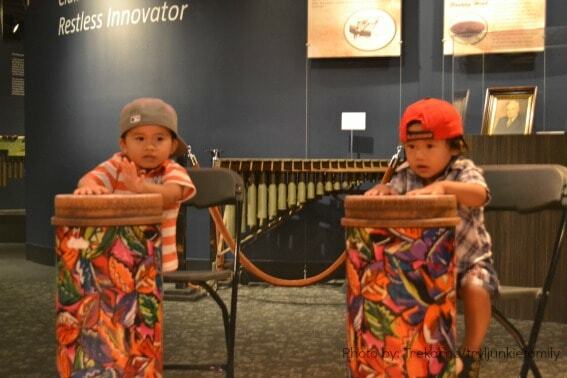 Discovery Center, where kids of all ages (and adults) can try out rare percussion instruments such as bongos, gongs, and tambourines. The center even offers sound-proof rooms with drum sets and other instruments for those that really want to get crazy! Every visit to the Racing Capital of the World should include a visit to the Indianapolis Motor Speedway where guests can take a spin around the Oval for an official track tour in a shuttle bus. Afterwards stop by the Indianapolis Motor Speedway Hall of Fame to gawk at trophies and retired Indy cars. The more adventurous set should go to the Dallara Car Factory, a maker of real Indy cars, to take a spin as a passenger on board a street legal Indy Car. Kids will enjoy themselves as well with Dallara’s Interactive Zone whether they want to pretend to race in simulators or make their own race cars and test their speed down a track ramp. Known as the world’s biggest children’s museum (and possibly the best), The Children’s Museum of Indianapolis is one NOT to be missed. Do a little extra planning and pick which exhibits you’d like to see, since it may be hard to fit everything in one day. Do make time to visit the Museum’s newest exhibit, the Terra Cotta Warriors, and marvel at statues over 2200 years old that use to guard over the tomb of China’s first emperor. 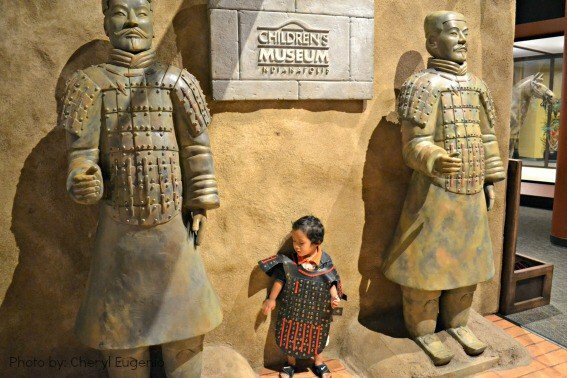 Kids will enjoy the interactive stations such as molding their own clay warriors, and adults will no doubt appreciate the historical significance of these ancient statues. 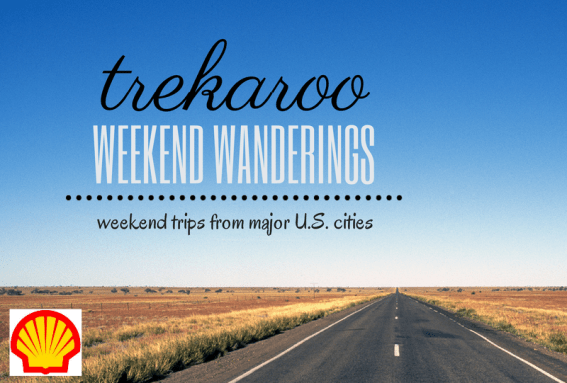 Other highlights include permanent exhibits such as Dinosphere, the cool Chihuly sculpture, the historic carousel, and of course the train exhibit. For a unique experience unlike any other how about staying in an actual train car? 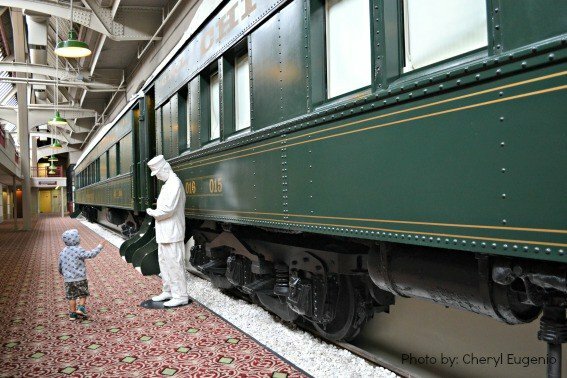 At the Crowne Plaza Indianapolis Downtown Union Station, families can actually stay in converted train cars that date back to the 1920s and are still located on their tracks. In fact, the hotel is a historic landmark property located on the site of the first Union Station every built. Pieces of that history are evident with beams, statues, and train-themed art. 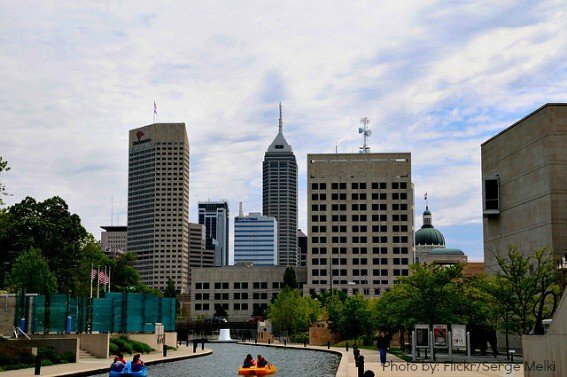 Read on to see what made the list of Top Ten Things for Families to Do in Indianapolis.